How long have you been riding? It’s a question you hear often amongst riders and you’ll usually hear an answer based on time. I myself have been riding for about 2.5 years. How that equates to experience though, not very well. In reality, a better way to gauge experience would be mileage. It’s not the only way, there are a lot of other factors, but to me mileage is a better measurement. I've ridden around 25k miles in those 2.5 years. In my 25k miles of riding, I've taken baby steps to get where I am today. I started out buying a bike not really knowing much about what it would mean to me. I wanted a motorcycle for commuting in NYC. 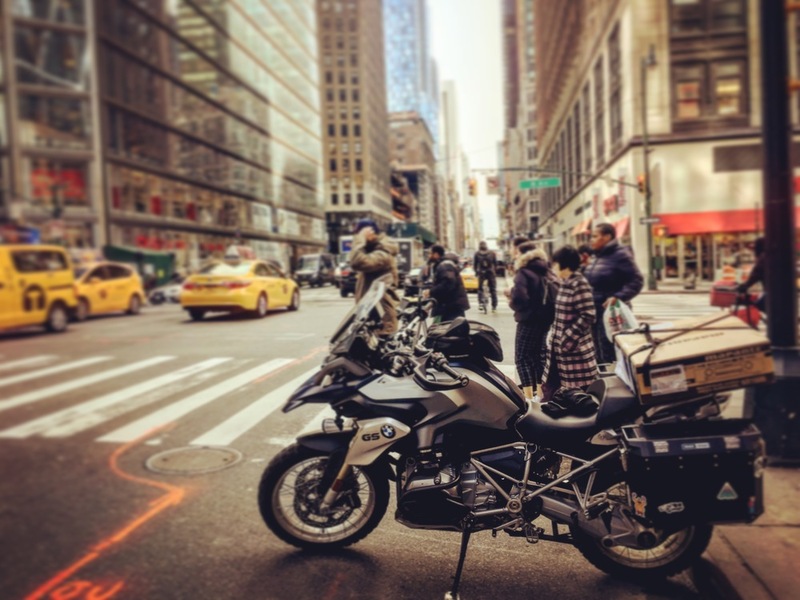 I’ve always loved seeing the BMW bikes in Manhattan, and I really liked the added suspension of the GS line. I bought a 2014 G650GS, a single cylinder medium weight machine that was a great starter bike for me. I’ll note that the G650GS is actually a great bike overall, and can take you around the world if necessary. When I first started riding daily, I thought I would only be riding on occasion. I rode without proper gear, I was a newb. After a few weeks i realized that this was going to be part of my life. I purchased some protective riding gear and rode almost daily. After many months I started learning about the ADV world. Fast forward a few more months and I realized i was ready for something more capable. 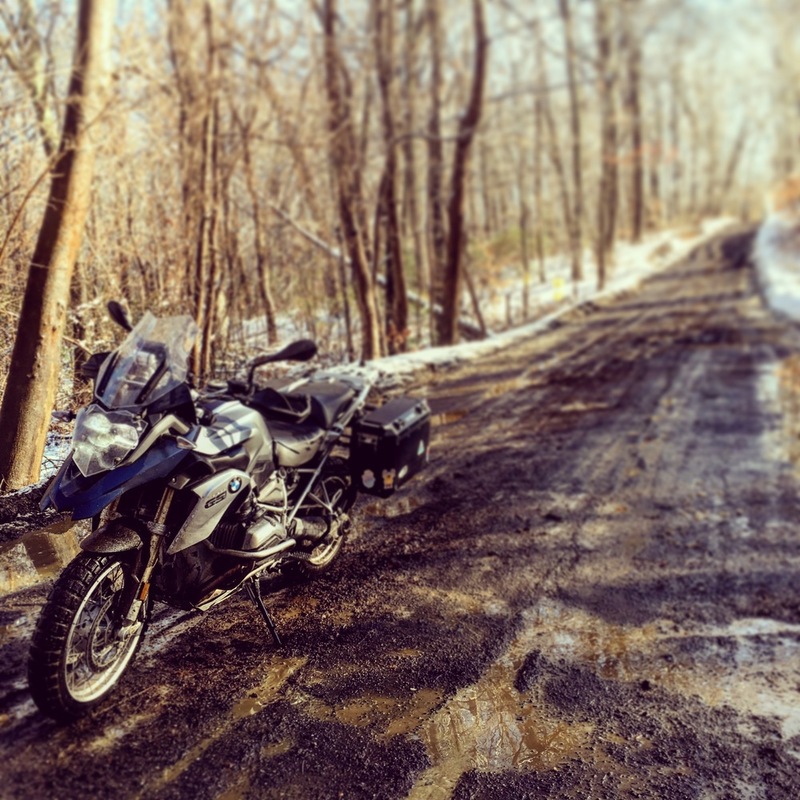 About 10 months in, I sold the 650, and bought an F700GS. You could read about the reasons here, but to sum it up, it was more powerful, fit me better, and would help propel me in to the ADV world. I instantly formed a new bond, and ventured out solo camping through out the summer. Just me and the 700 on most occasions. I did a lot of learning on that bike. Learning to pack and camp was the most fun. Accessorizing the bike was also great fun. Eventually I moved to a new home with a garage, and we spent a lot of time together in there. I took my wife on a weekend getaway on this bike, which was something ill never forget. I went camping with buddies on it and did some of my first trail riding, complete with mud and water fall crossings. I put around 16k miles on it in a little over a year. I was set on this bike, thinking it would really last with me. That thinking didn't last long. I occasionally had thoughts of going up to the R1200GS, I test rode it a few times, and even looked at used ones here and there. I kept coming back to the fact that I loved my 700. I felt at home on it, I knew it well, it did everything i wanted it to do. A few months ago, I moved from Brooklyn, NY to Ocean, NJ. This changed my commute drastically, comprising of much more highway. I kept thinking to myself how much better a 1200 would do on the highway, but I loved the way the 700 handled once I was in the city. Again, the 1200 went to the back of my mind. Well, from the title of this post, we all know what happened. I bought an R1200GS, but how did this come to be, and what changed to bring me to this point. Like I said, I was very happy with my F700GS, and in fact I was not even looking to upgrade. I just happened to come upon a post on Facebook by Raw Hyde Adventures, saying they were selling their 2015 line up of bikes. 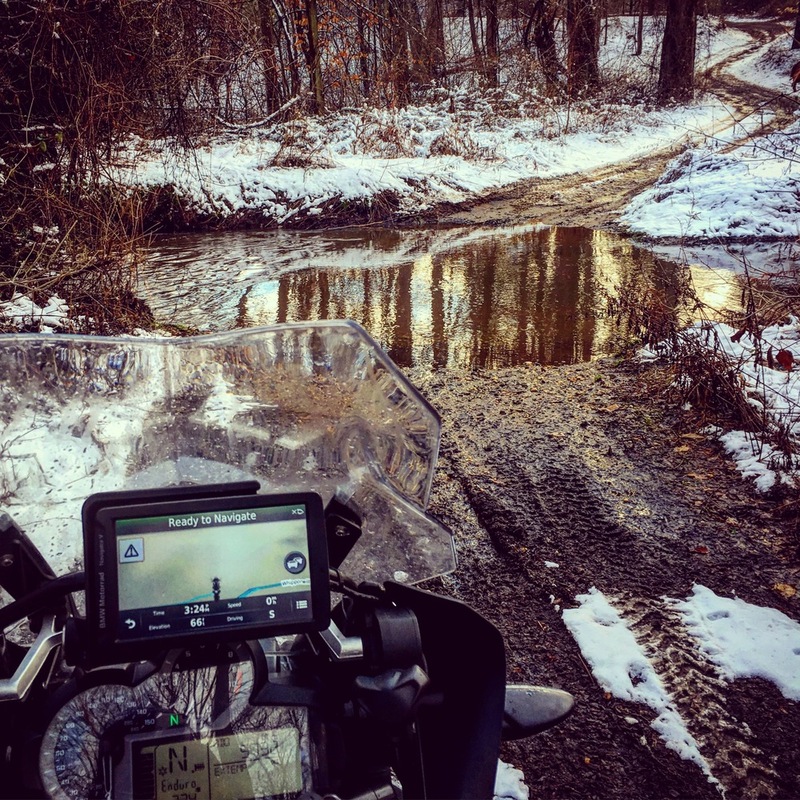 Raw Hyde is an official BMW Off Road training school. They get an all new lineup every year, and sell the outgoing models. At first, I was intrigued and thought about getting the F800GS. The deals on these bikes were so good, and I was doing more dirt than before. Having that bigger front tire, and some more power seamed appealing to me. As i looked in to it further, and discussed it with my moto buddies, they made it clear to me I should be looking at the 1200. As I thought about it, i just kept getting more excited. Within a day of seeing the Facebook post, I put a deposit down on a 1200. 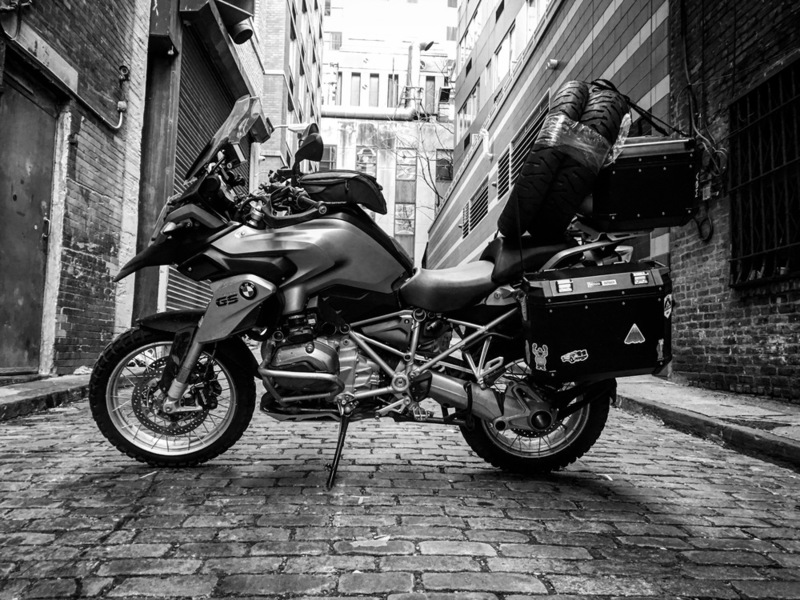 A 2015 R1200GS(w), top of the line model, with 4800 miles on the clock, outfitted with all the extra BMW adventure protective equipment. This bike had every option, including keyless start, and endure pro riding mode. Raw Hyde also included 2 free extra sets of tires, a free offload weekend training, and a free 5 day adventure from California to New Mexico on route 66. On top of that, the bike had over 2 years remaining on the factory warranty. I added in the BMW Nav V with a 15% discount. This bike was an amazing deal at the price I got it for. Over $8000 in savings if I bought a new model outright. The downside of course was that this is a used model, and when I say used, I mean pure off roading for 4800 miles. It came pre scratched up for me, which is something I would have done to it anyway. This isn't a deal for everyone, you have to be OK with your bike being a little beat up. That to me was a plus, as I would feel terrible to be the one to put the first scratch on such a beautiful machine. I arranged shipping, and waited for this bike to arrive like I was counting down to Chanukah. It finally arrived, and it was filthy. Covered in road muck from the trucking (I was told it would be a closed trailer, it was not, but thats my fault). Beyond that, the bike had sand tucked away in every crevice from its off road past life. Finally riding it around was a new experience for me, as its completely different from the 700. The engine is rougher at the low end of the RPM range, and the transmission is clunky. It takes some time to get used to, but when you do, you realize that the engine is much smoother at the higher end of the RPM range, you learn how to shift the way the bike likes it, and more importantly you learn how balanced and inspiring this bike is. It’s heavier, yet at the same time easier to handle. The electronics are fun, and very useful, and the long distance comfort is there. I feel like i could ride for months on this, that might have something to do with the electronic cruise control. Riding this briefly off road, I was having an easier time standing on it, and riding through the dirt. This is just the beginning, this is the honeymoon phase. It will take some time to really bond with it like I did with the 700. I’m looking forward to some solo camping with it, camping with buddies, finding more dirt roads. Overall looking back, I see this as a natural progression, as baby steps. I’ve earned my way here. I’ve put the miles in, I've gone through everything I needed to go through to get here. I am really excited for this next phase, and for more adventures to come. A new F800GS for 2016?